A lovely family break to escape from the daily routine. Meet Yan et Cédric, the shepherds, who will lead you to their flock. Your children will immediately fall for the little lambs. And then enjoy the magnificent panorama from the summit of the Pic du Midi at 2877 metres which you will have reached by cable-car. Continue with the sensory experience as you discover the life of the fruits with Patrick and Maurice. What a unique way to get away from it all! Installation in your hotel at the end of the afternoon. Breakfast then visit the shepherds - activities with the shepherds and their flock; picnic. Yan and Cédric are shepherds in the Campan valley, they will teach you how to become a shepherd in just one day! 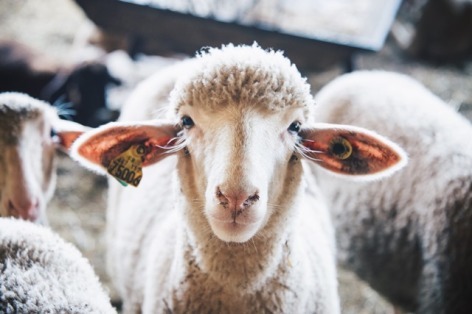 You will be able to learn the skills necessary to be a shepherd, how to look after the animals and their learn about their daily life in the mountains. After breakfast head to La Mongie and the cable-car. Within minutes you are at the very top of the Pic du Midi, the view from the 750 metres of viewing terraces is just mindblowing. Ideally located a short walk from the foot of Tourmalet with views of Pic du Midi de Bigorre, this completely renovated hotel welcomes guests all year round. 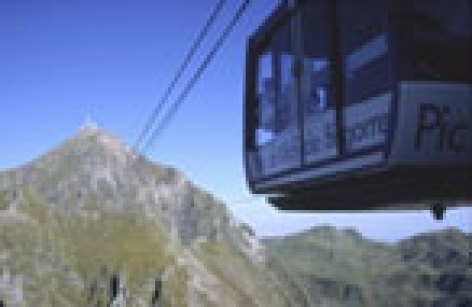 Take the Pic du Midi cable car for a spectacular voyage to the summit at 2877 metres, where 600 m2 of viewing terraces await, marvel at the 360 degree panorama over the whole of the Pyrenees, the plains of the south west and even the Massif Central. 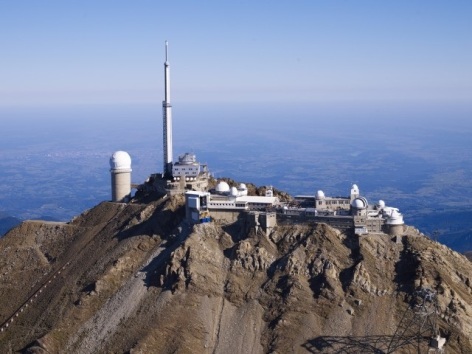 The Pic du Midi also houses a famous astronomical observatory, a star museum (the highest museum in Europe) which explains the history of this exceptional site and the exploration of the universe. 2 nights in 3 star hotel, B&B - A walk with the shepherds around the farm - Picnic or snack - 1 family pass for the Pic du Midi - Booking fee. Cancellation insurance - Local taxes. Exploring the mountain pastures and meeting the flocks, sharing a picnic with Yan and Cédric and discovering the life of a shepherd ! With a magnificent view over the Pyrenees, the Pic du Midi restaurant will delight you with its food. 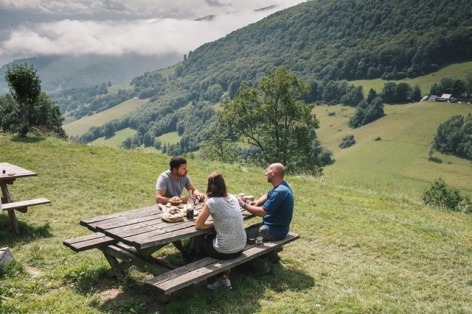 Original dishes using local products are served at nearly 3000 metres of altitude. The famous Col du Tourmalet is known the world over as it has so frequently featured on the Tour de France over the years, the first time being 1910! It is the highest road pass in the Pyrenees at 2115 metres, the views from the top are superb. Campan is situated beneath the Pic du Midi and houses the Petits Fruits worksop and shop, a festival of flavours! Here you can enjoy a superb variety of tastings - jams, jellys, sauces, aperitifs, liqueurs, flavoured vinegars, fruit juices... the finest of gourmets will be in heaven. There are many classical products which are re-worked but also many traditional sweet and sour varieties, and some most surprising. These delicious flavours are just perfect to accompany cheeses, foie gras, fish and grills. There is an educational tasting and walking trail alongside the boutique.